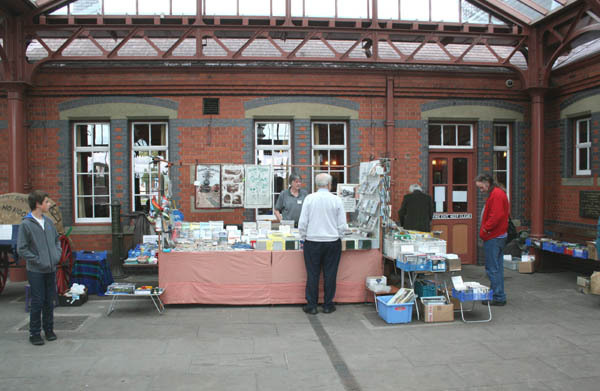 Sales The bulk of the Fund's income derives from sale stands which operate on most weekends throught the year at a variety of loctions including Kidderminster (SVR), Williton (WSR) and other Heritage Railways (Galas and Events), Model Railway Exhibitions etc. We specialise in the sale of railway and transport related DVD's, badges, second hand and remaindered books. Most items can also be supplied by Mail Order especially DVD's. By ordering your DVD requirements through the 813 Fund you will be making a material contribution to our finances. If you feel able to help in that way please contact Pat Goss by letter, email or telephone.